There’s no denying that bitcoin fever has gripped many of us and it’s a financial trend that is ever growing and expanding. With every hot trend, however quickly it garners momentum there are always scammers out there who are aiming to target people, whether experienced in their field or not. Over recent months there has been a distinct rise in the number of criminals who are now targeting in the bitcoin market and even managing to scam seasoned users of the technology, often in the most unsuspecting ways. 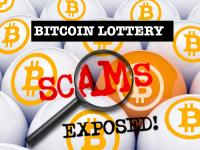 Here we examine bitcoin and bitcoin lottery scams. What are they and how can we avoid them? There are a few eye-opening tales here that might make you think twice before you invest. Read on to find out more. Simply speaking Bitcoin is a digital currency that isn’t owned by a major corporation or affected by government, but it is run by the users of a huge network. These people make and verify transactions in a cryptographic manner. With the increase in Bitcoin interest, the value of individual bitcoins has increased from around $1,250 at the start of the year to anywhere in excess of $9,200. As with anything of this nature, the increase in interest means there’ll be an increase in scams. In Australia, the Australian Competition and Consumer Commission (ACCC) is urging consumers to be vigilant. They warn people that “If it looks too good to be true, it probably is”. In October 2017 the ACCC had 245 different reports of bitcoin-related scams. They even took to Twitter to warn people to be careful. “The scam categories with the most bitcoin-related reports in October were an unexpected prize and lottery scams, investment scheme scams and reclaim scams,” an ACCC spokeswoman said. An experienced Bitcoin trader, Jason Hall was always in the market to try and make an extra buck or two. Often, he’d take the opportunity to partake of a little online trading after a late night shift at work and before he settled down to sleep. One night proved to be quite costly. Logging on to Google, he accessed his trading site but after a few moments his account had been hacked and there was money being siphoned off to scammers. For it now appeared that Mr. Hall was the victim of a Bitcoin scam. The site he’d logged onto, which to all intents and purposes appeared to be his own had fallen victim to a phishing scam. This is when a fake website mimics a legitimate site and steals the account details of the user when they try and log in to conduct some business. Sadly this kind of thing is becoming all too common now, with scams that appear too good to be true. The story doesn’t end there. News from Scam Western Australia’s website shows that Bitcoin traders and unsuspecting users are now being targeted with spam emails and links to a website offering a bitcoin trading software which promises to make $2440 per day. 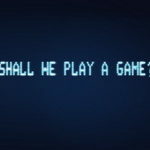 The website and the email that comes from them claim that they will only release a certain number of licenses for the software, which of course, to anyone who isn’t in the know, creates a sense of urgency and panic. Users who go on to check the website that the email is from will find lots of fake testimonials from people who claim to be living the high life and in the lap of luxury, simply by ‘investing’ in this software. Of course, these testimonials are fake and false and have been staged by actors being paid to do a job. With the rise in technology, there’s also a rise in scammers who find ever more sophisticated ways of duping people. An experienced Bitcoin trader, Alex Saunders has been trading cryptocurrencies from Launceston in Australia for five years. While he is always above board, he reports that he has seen scams become more sophisticated over recent years, Scammers are now trying phishing scams, pyramid schemes and lottery websites that tout extraordinary returns to get people to part with the digital currency. However, even though these are stark warnings, and a lot of traders worry about the safety of the technology Saunders argues that most trading platforms are totally safe. As Bitcoin’s value rose in 2017, online software giants Kaspersky Lab researchers have noted an exponential growth in Bitcoin and blockchain-themed tricks in the third quarter of 2017. They’ve discovered that criminals have been using tricks such as websites disguised as cryptocurrency exchanges, and fake services offering cloud mining in order to scam unsuspecting traders out of digital cash. If you think you’ve seen a bitcoin lottery draw, or anything related to bitcoin which offers a high return with little risk, it’s important that you report it. Investigate it yourself, first and check out any sites or email addresses you are given to see if other people are making complaints. If anything like this strikes you as being too good to be true, then it IS likely to be just that. If you’ve invested money in something like Bitcoin Millionaire, or another scam it is important you report this to your relevant consumer protection agency in your country, as well as informing the police. Bitcoin scams are one of the most common consumer frauds that currently exist in the world of finance. Serious action will be taken against any operation that targets consumers or traders with illegal offers like this. 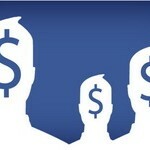 You should always keep the money, bank details and private information about yourself, to yourself. Never give any details away to anyone online that you are less than 100% sure about. Don’t give any financial information to anyone from a Bitcoin concern who claims to require it from you in order to give you a great deal. Never wire or share money or card numbers with anyone who randomly contacts you in a manner similar to the Bitcoin Millionaire scam. Don’t think about passing information like this on to friends, either. You might think you’re doing a good thing ‘sharing your luck’, but it’s likely they will get targeted too. If a scam caller rings your home, you know it’s a scam and hang up straight away. Do the same with online fraudsters, block their path immediately. Always report scams or anything that might even look like a scam. It’s the only way to stamp this kind of thing out for good. Scammers rely on the kinds of people who have trusting natures and want to try and live a better life. They can spot vulnerable people and target the very easily. Don’t let yourself be one of those people. Stay wise to Bitcoin scams! Report any information you can to give police and consumer protection groups enough material to identify the scammers and stop them before they steal someone’s hard-earned money and their livelihood from them. 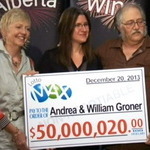 Lottery Winners Offering $1 Million in Random Emails? WTF? !